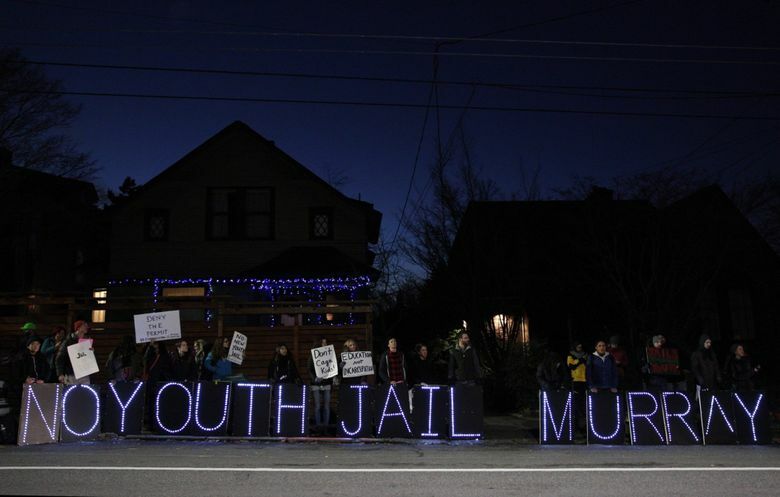 Several dozen protesters gathered outside Seattle Mayor Ed Murray’s Capitol Hill home Tuesday evening to demonstrate against a proposed new youth courthouse and jail. 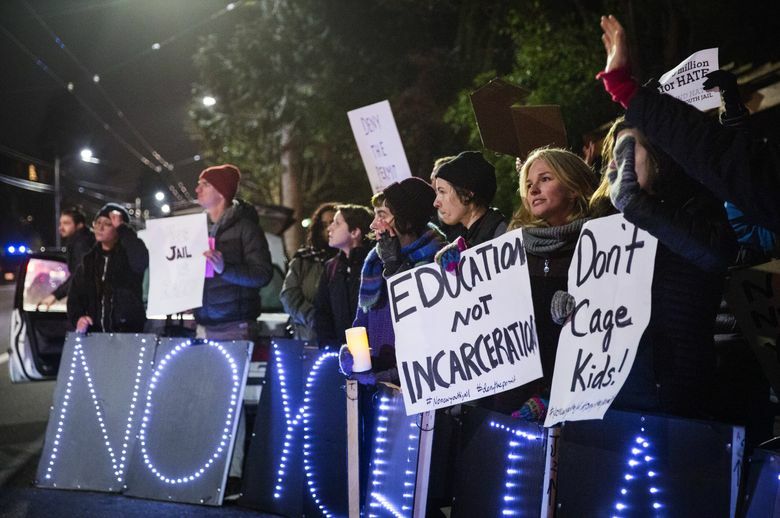 Seattle Mayor Ed Murray was bombarded with protests for the second straight day Tuesday, this time outside his Capitol Hill home as about 60 people gathered to demonstrate against a proposed new youth courthouse and jail. 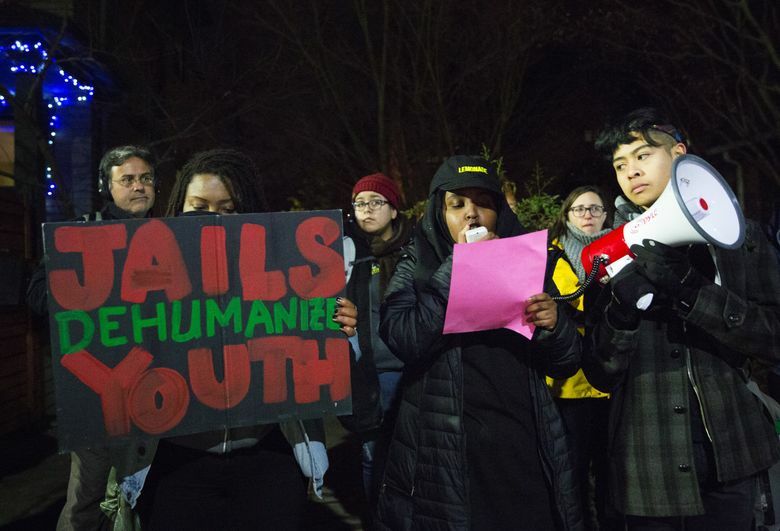 The protesters said they were worried the city will, this week, issue a land-use permit for the King County project, which is formally known as the Children and Family Justice Center. “We’re here at Ed Murray’s house because families are being torn apart, and he’s sitting very comfortably,” said Bana Abera, a protest leader. 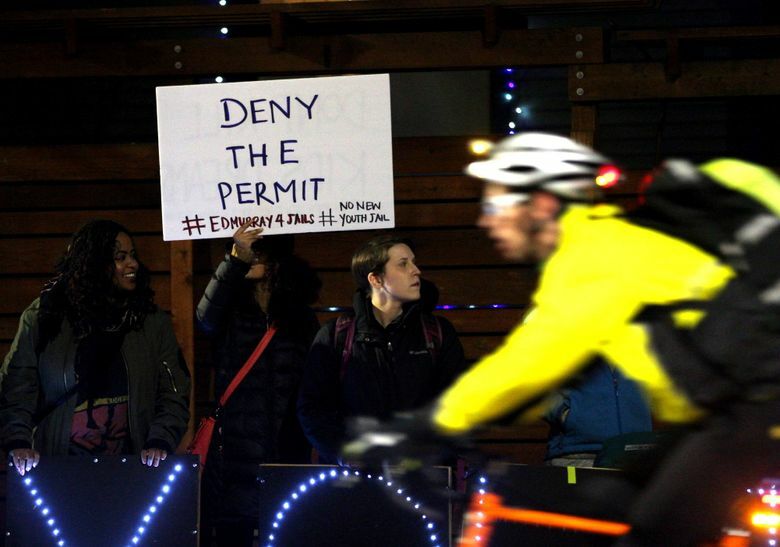 For several hours Tuesday evening, protesters lined the sidewalks outside Murray’s home, holding LED signs, exhorting drivers and chanting through loudspeakers. About six Seattle police officers stood by, monitoring the protest. 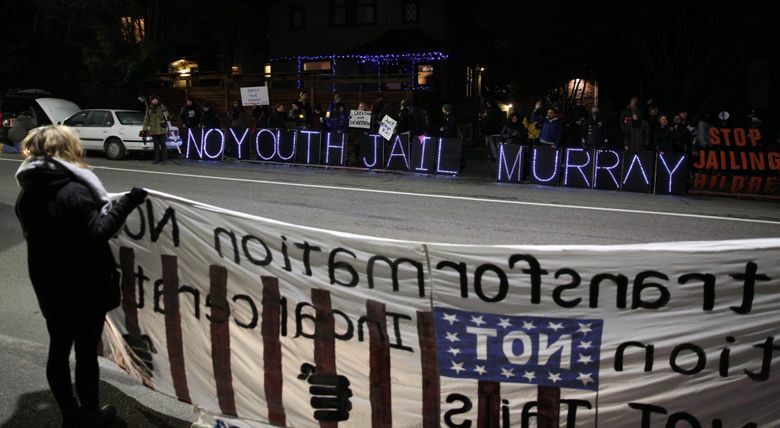 Voters in 2012 approved a $210 million levy to replace the county’s current juvenile-justice complex at 12th Avenue East and East Alder Street in Seattle. 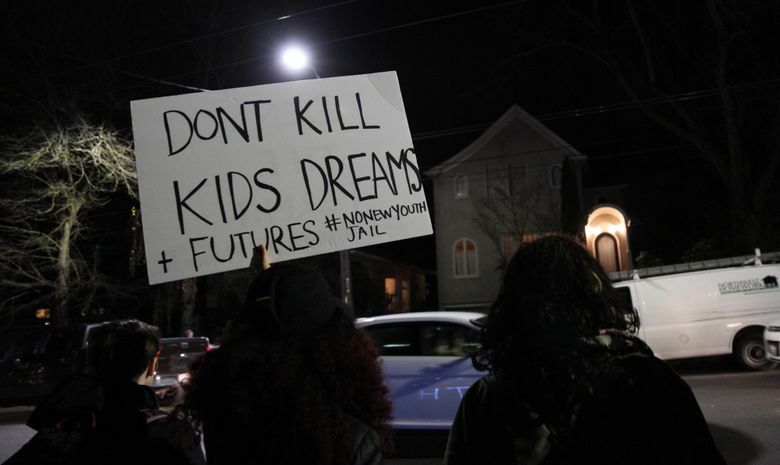 Abera and other protesters said they thought voters had been misled in 2012 by “disingenuous language” that masked the fact the facility would be used, in part, as a youth jail. “They didn’t tell us about the jail cells in there, did they now?” one woman yelled. When the Metropolitan King County Council voted to put the levy on the ballot in 2012, nobody spoke against the proposal. In 2014, the Seattle City Council voted 8-1 to approve a zoning change to allow the new facility. 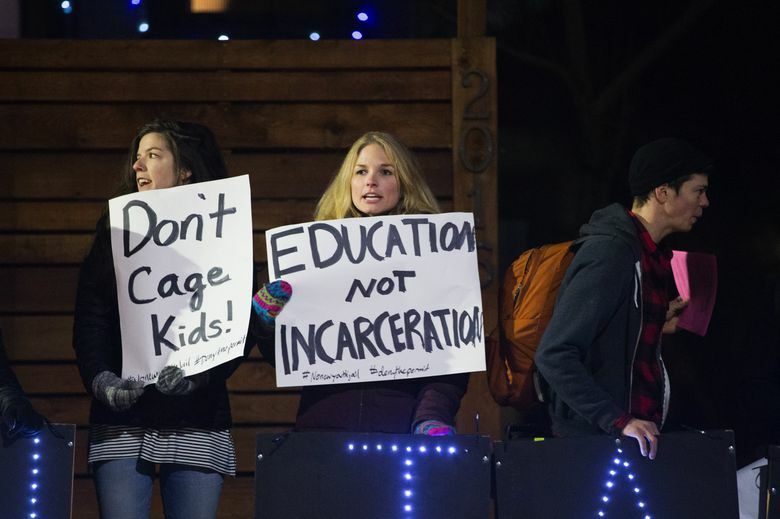 The County Council followed suit with a 7-0 vote to build the jail, over heavy protest. “We need to do better for our young people,” Heru said.